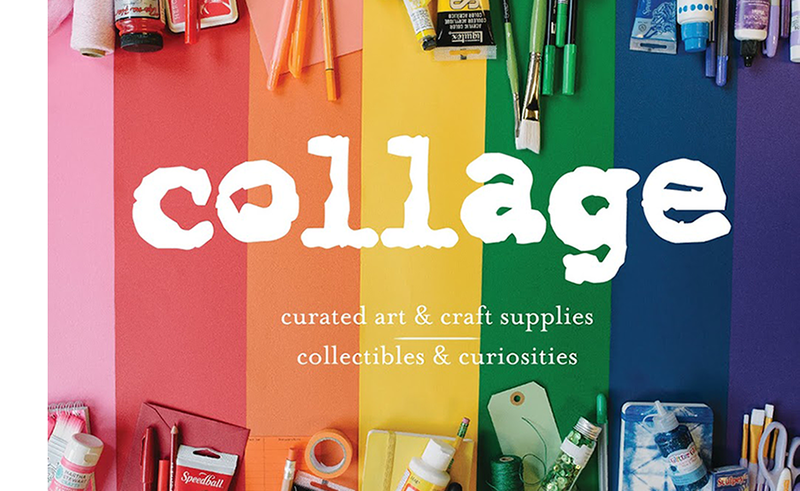 For folks on the go, traveler's notebooks are a collage staff favorite! 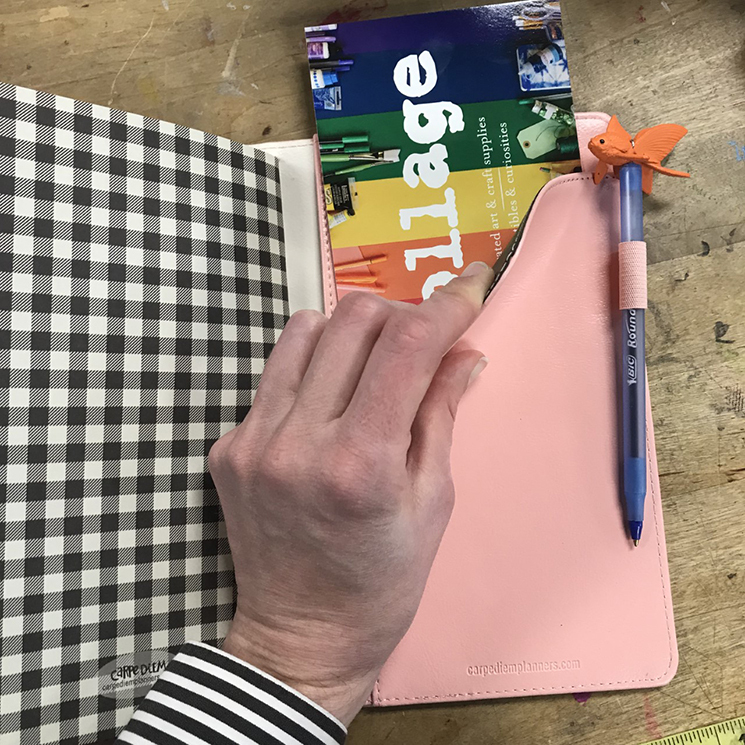 Made from beautiful high - quality simulated leather, the notebooks come with four interior pockets, two side pockets, one secretarial pocket, four elastic bands, an elastic band closure, and elastic pen loop. 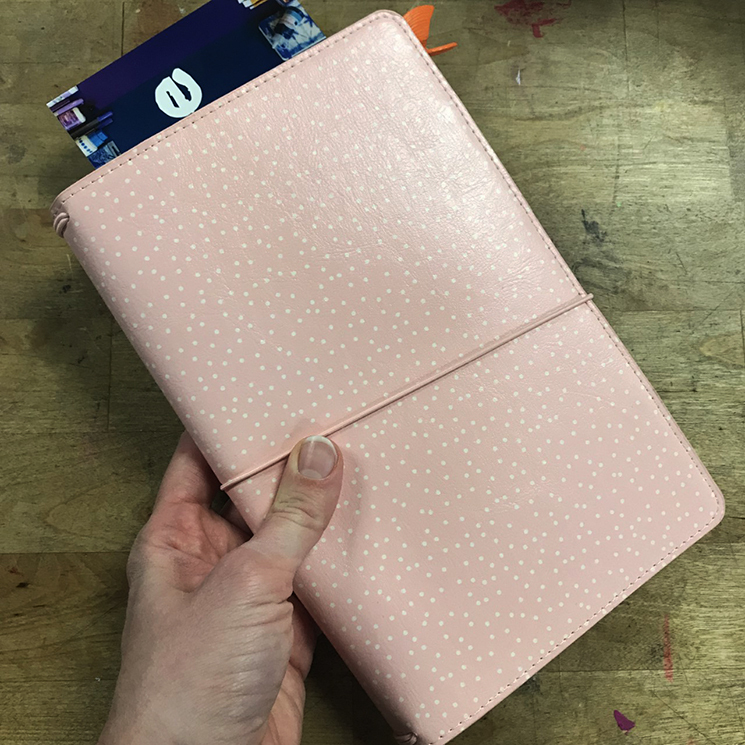 The accessible size of the traveler's notebook makes it easy to carry them in a purse, backpack or large hip pack. Traveler's notebooks have business card-sized pockets in the front pocket that can easily function as a wallet. 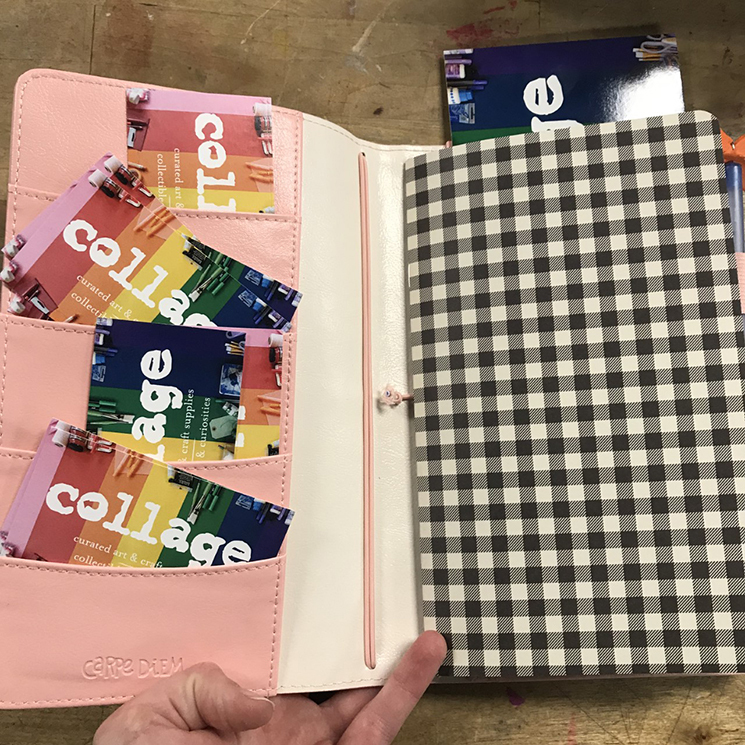 The multiple rubber bands can hold multiple notebooks, like a planner and a notebook, a notebook and a sketchbook, it's completely customizable! 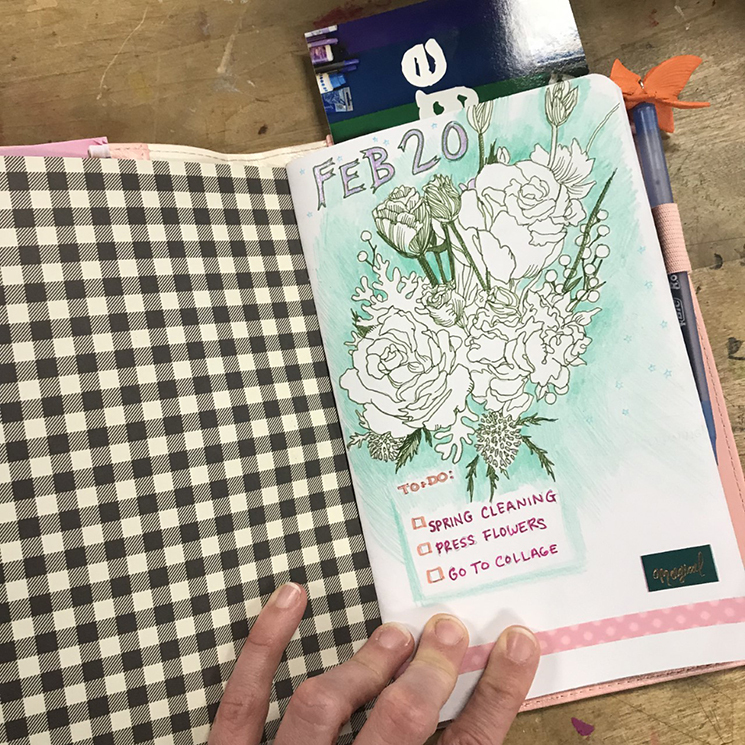 Plan out your bullet journal, keep track of your to-do lists, and sketch away! The handy pen holder means you'll never have to fish around in your bag. 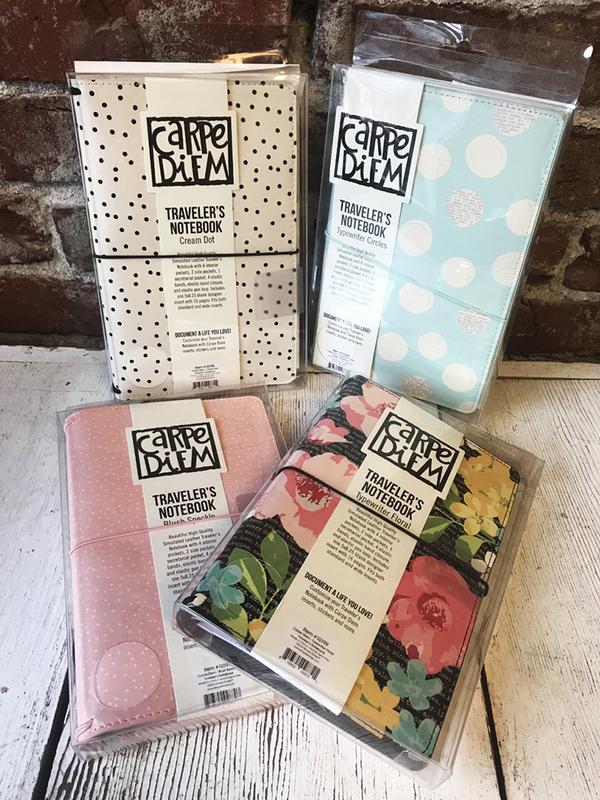 The back pocket is perfect for postcards and flyers that you accumulate in your travels. 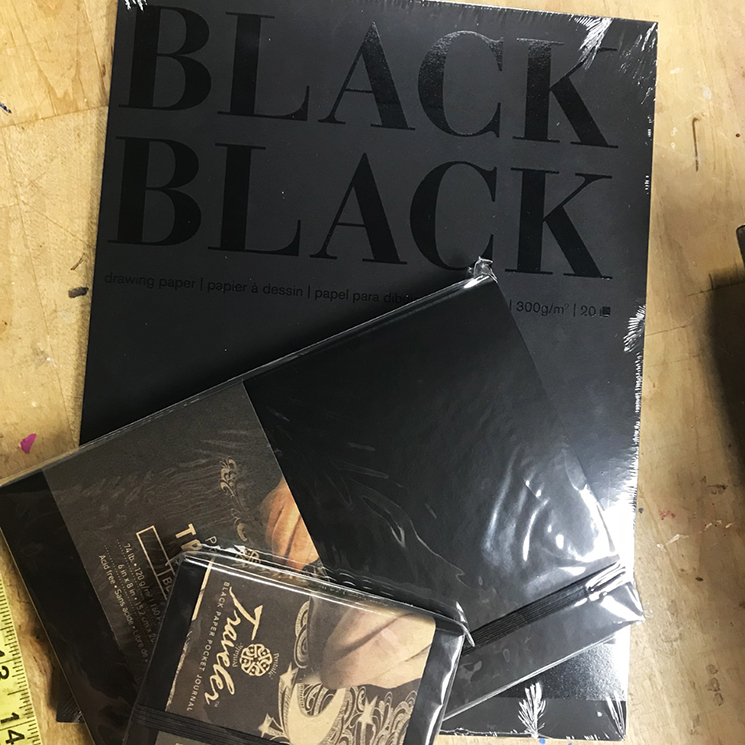 collage has numerous black paper pads in stock for experimenting with different media. The instant high-contrast is very satisfying. Read on for some of our favorite pens to use on black paper. 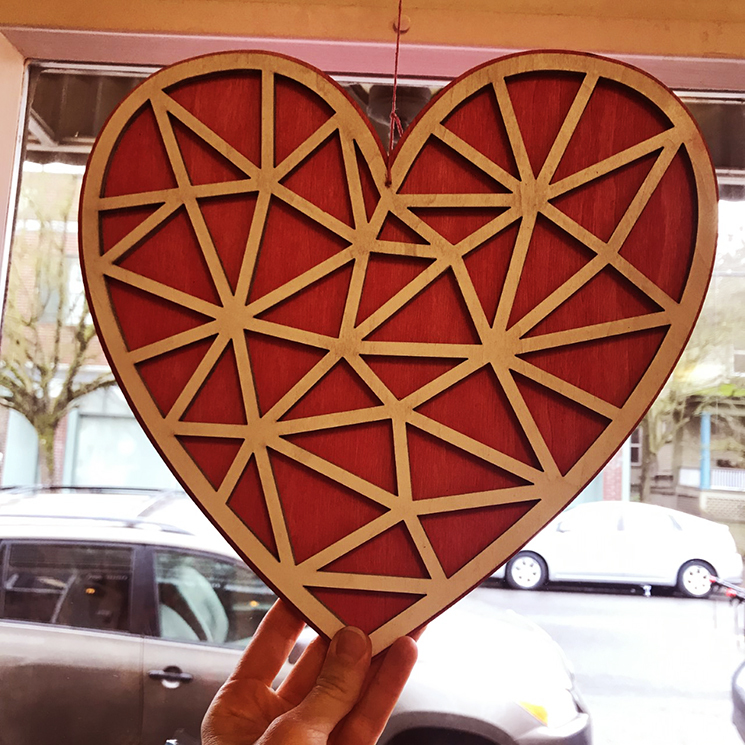 We are so inspired by this loving season, and made some sweet decorations to spruce up our space. These are very easy for all ages to work on together! Read on for a how-to.